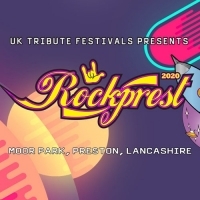 "Rockprest is back, bringing the UK's best tribute bands to Preston's Moor Park.. Best of all, it's free! You just pay the booking fee of a few pounds." SATURDAY: Link N Park, Metal Militia, Higher on Maiden, Alice in Chains UK, Ozzbest, Stiff Bizkit, The Machine Rages On, South of Heaven, Deftones UK and more. SUNDAY: Fu Fighters, Iffy Clyro, Pearl Scam, Happy Mondaze, The Chain, Sick Sick Sick, Viva La Coldplay, AKA Noel Gallagher, Beast Decoys, Wrong Jovi, Stipe and more.